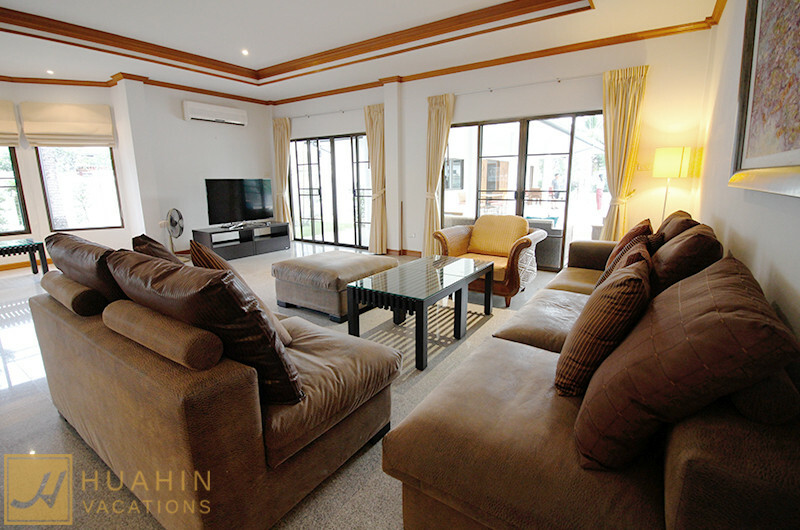 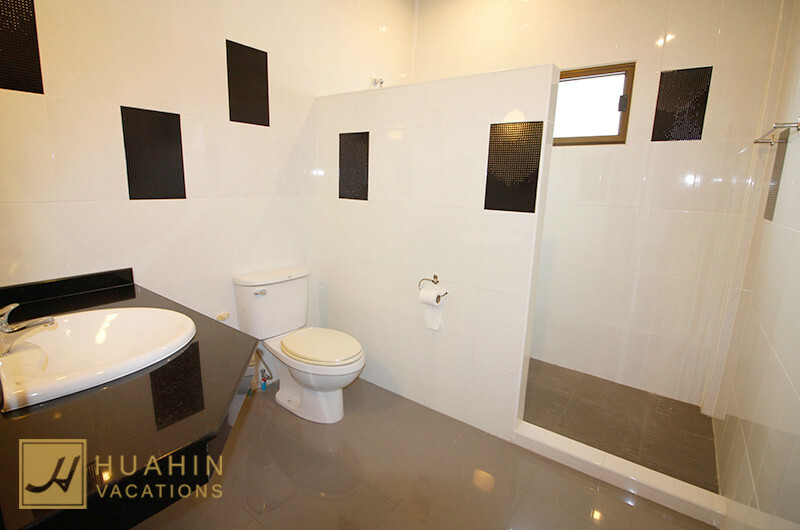 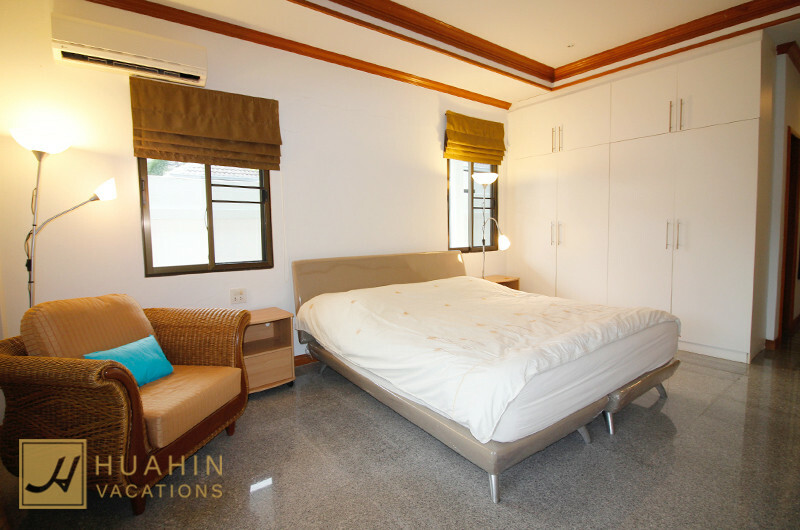 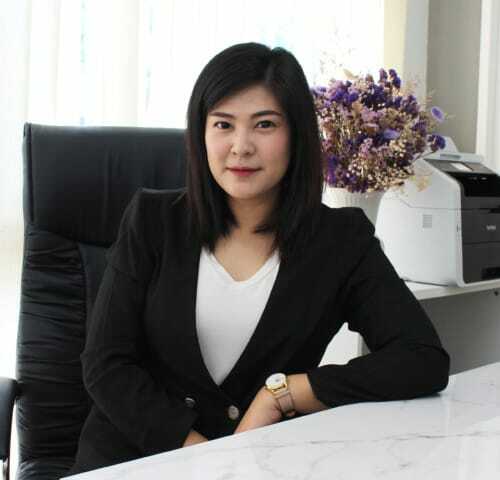 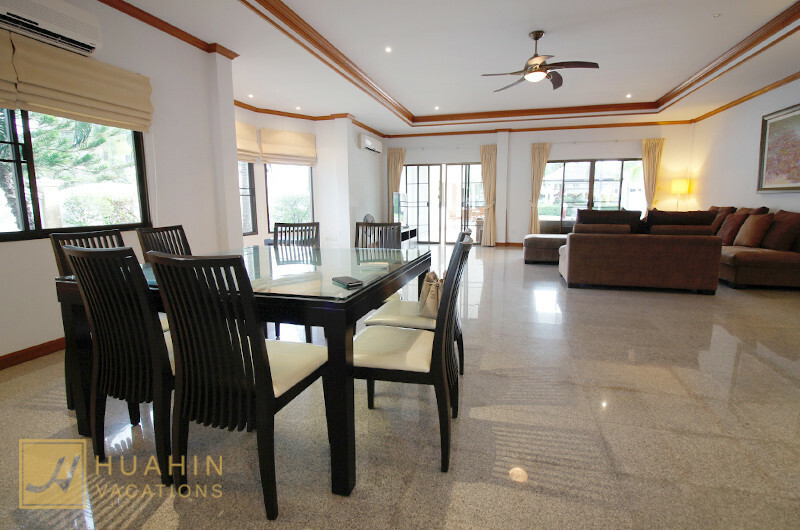 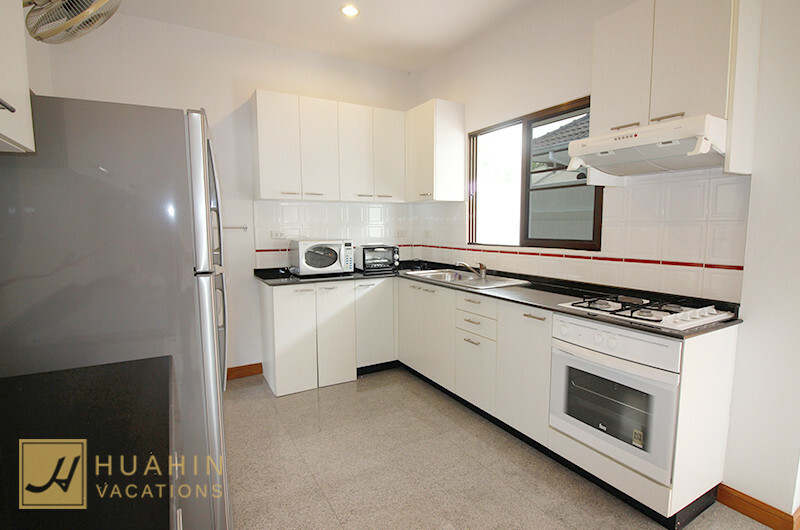 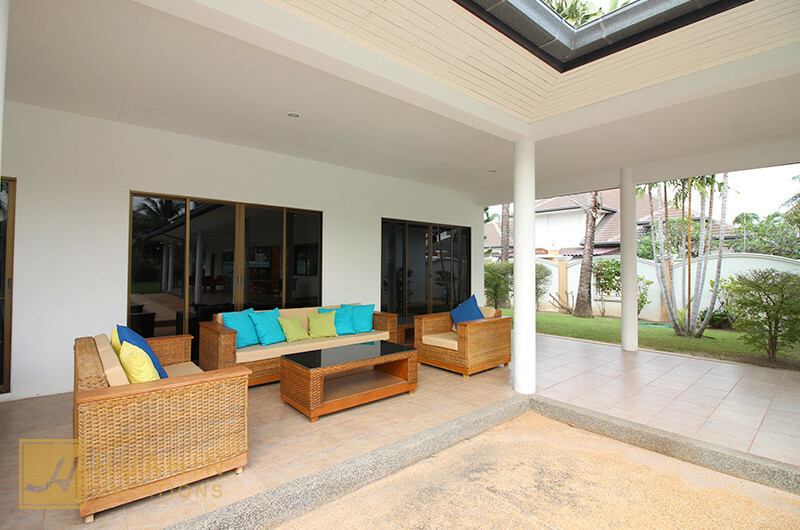 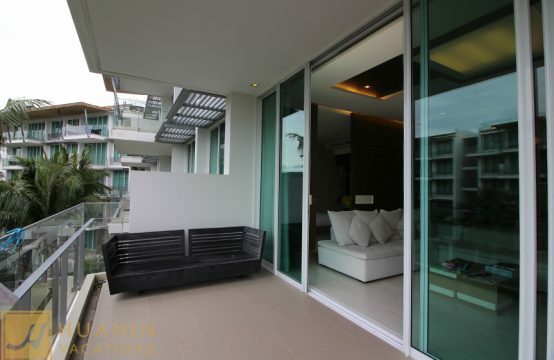 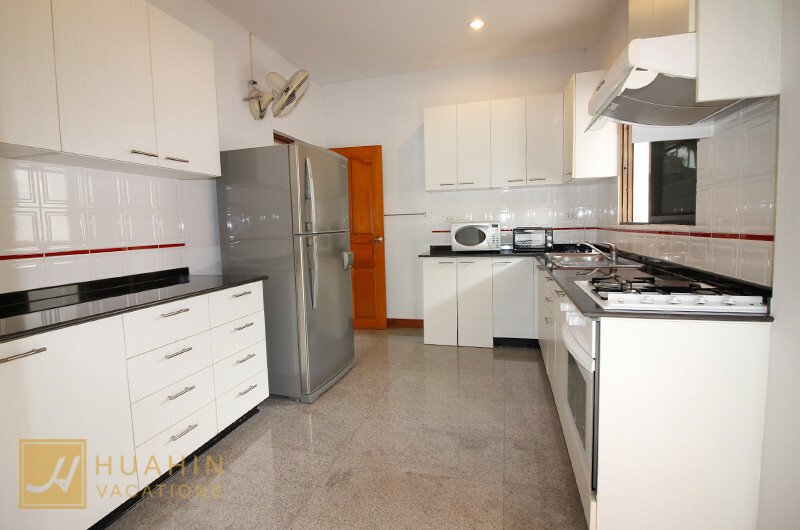 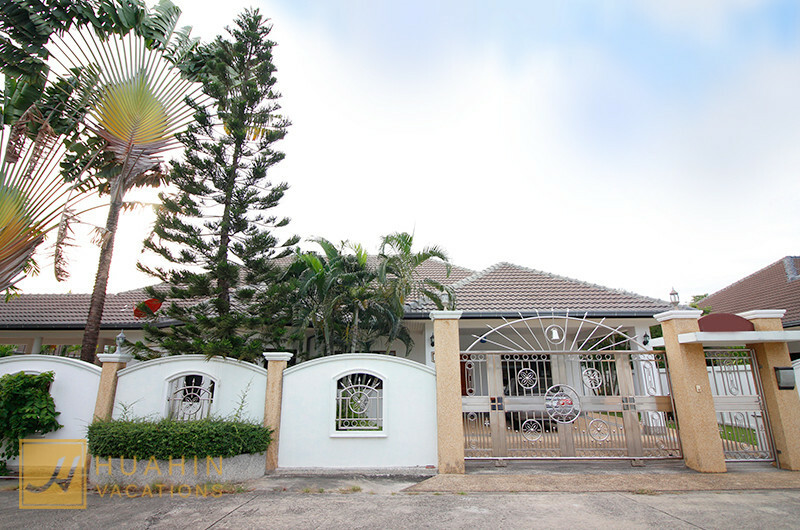 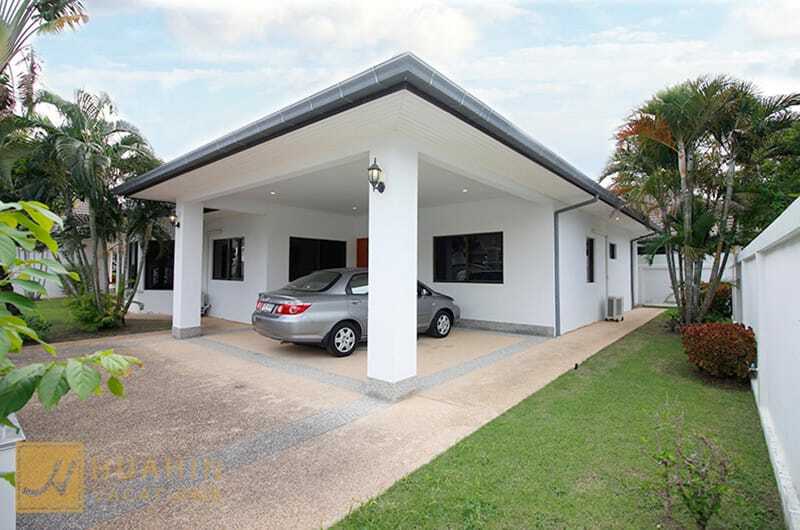 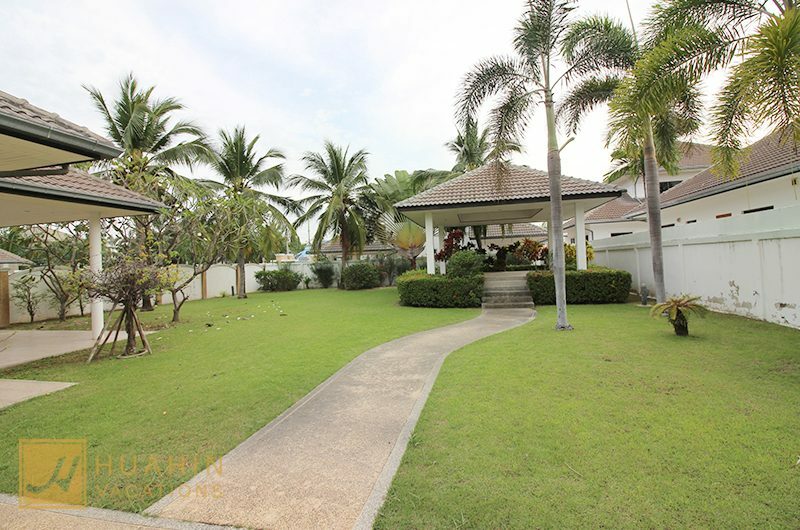 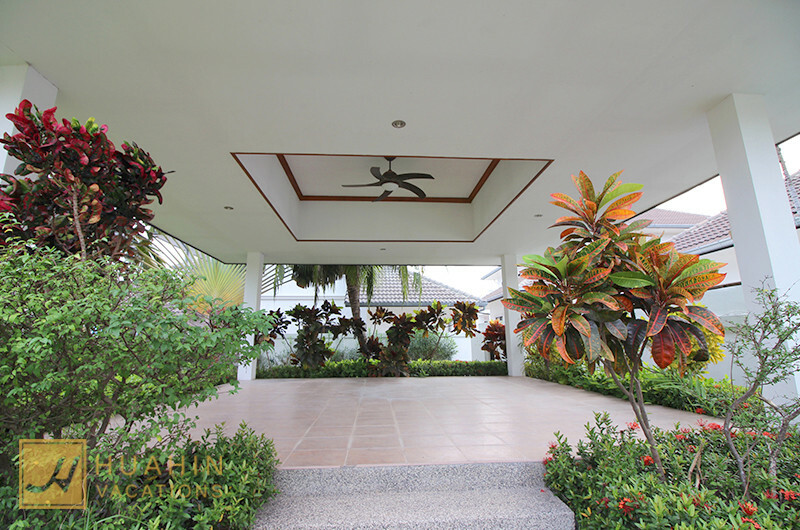 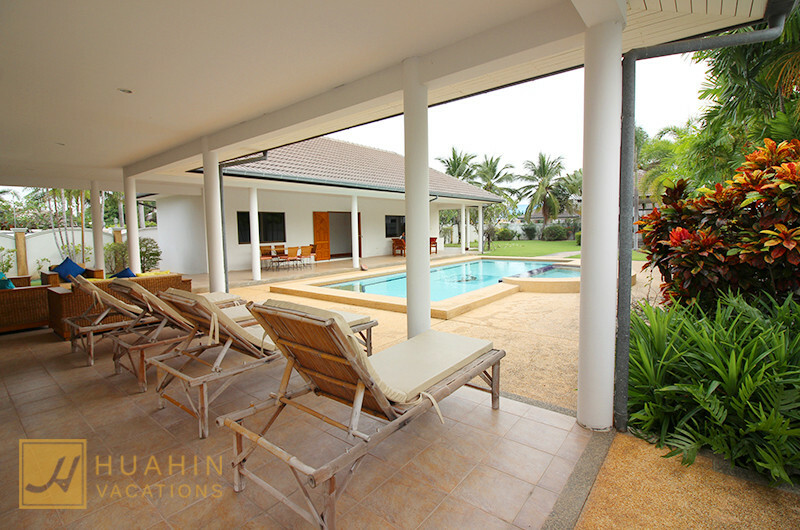 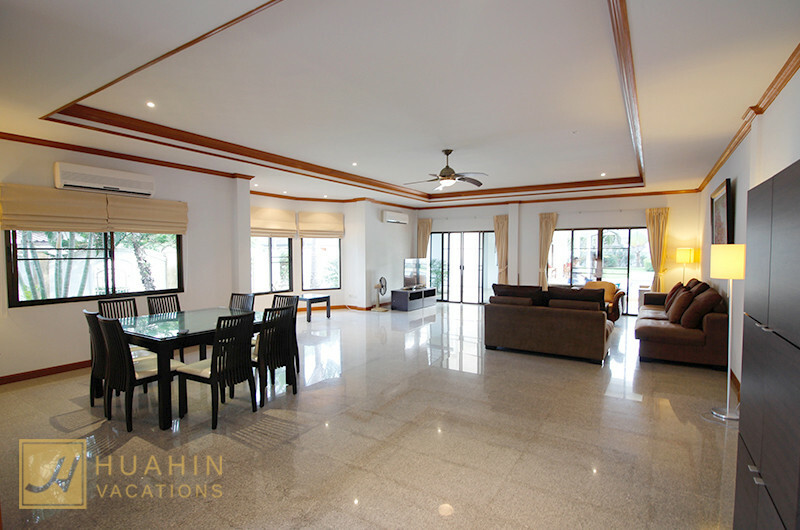 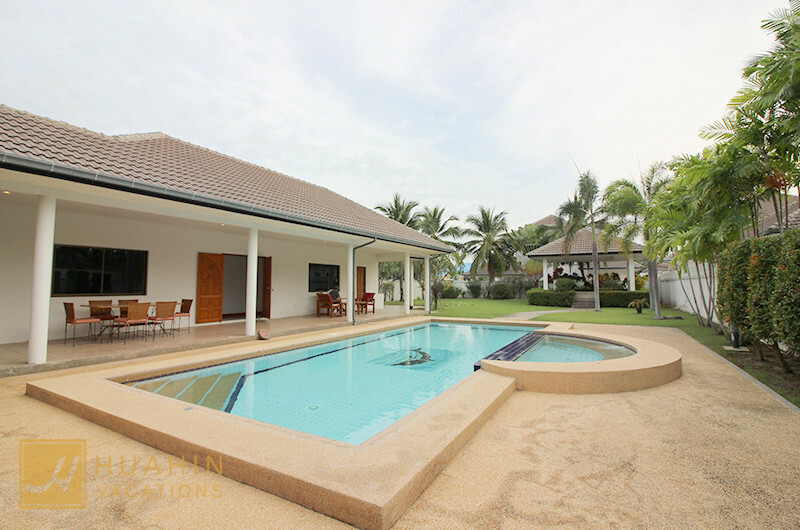 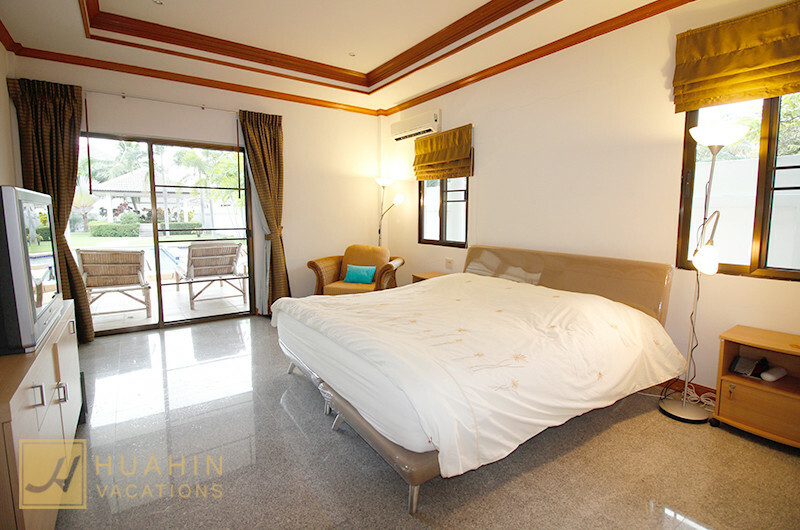 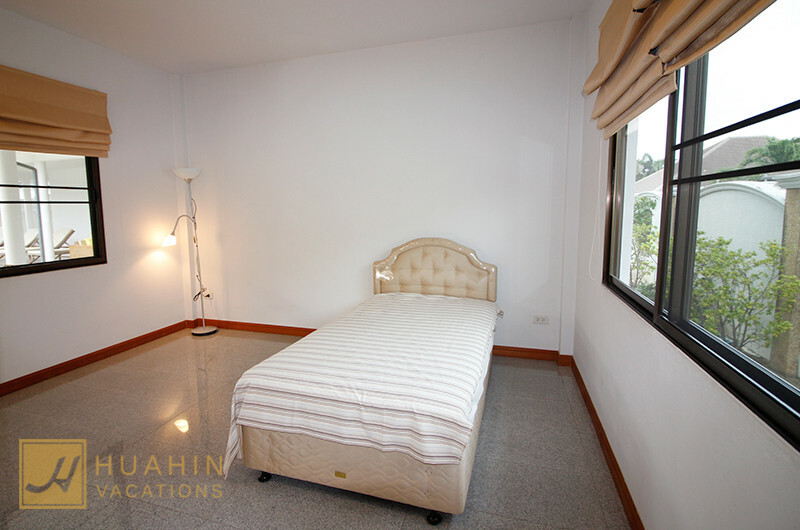 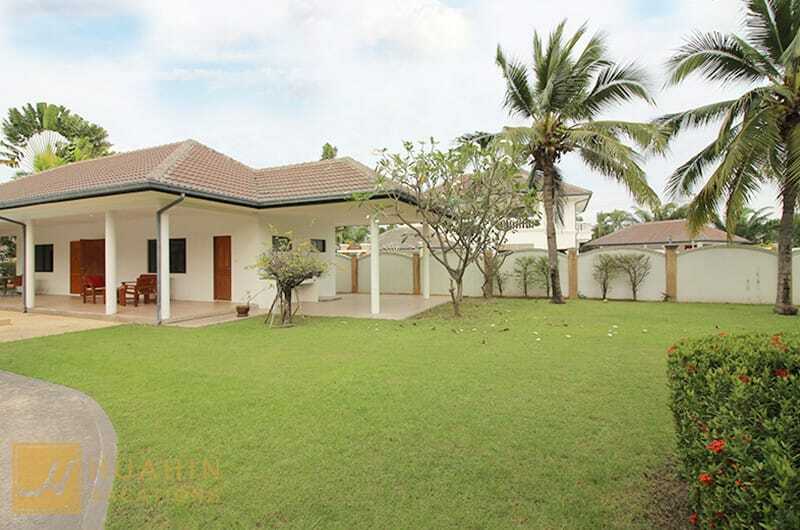 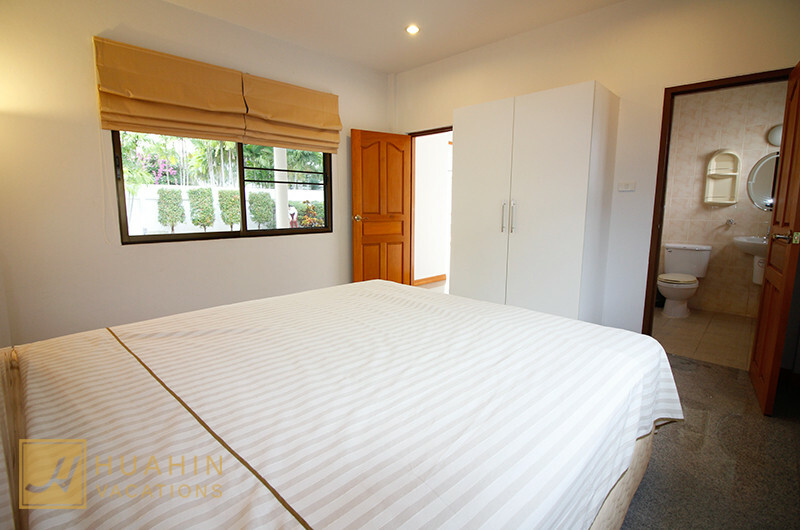 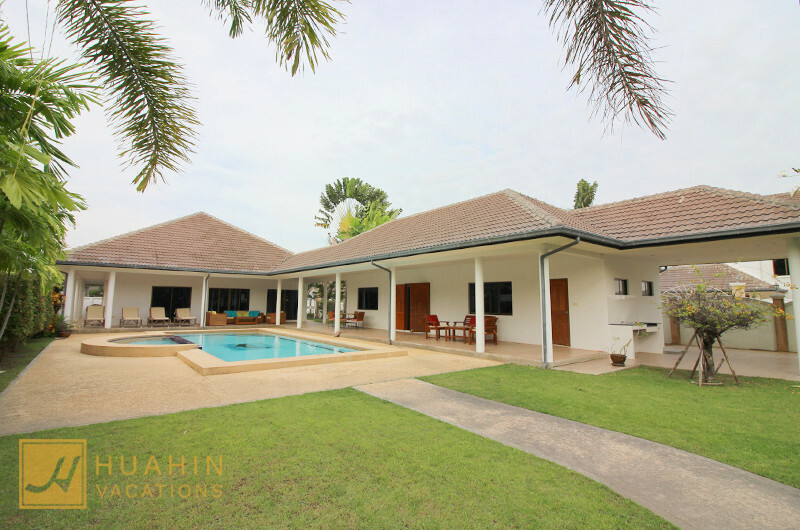 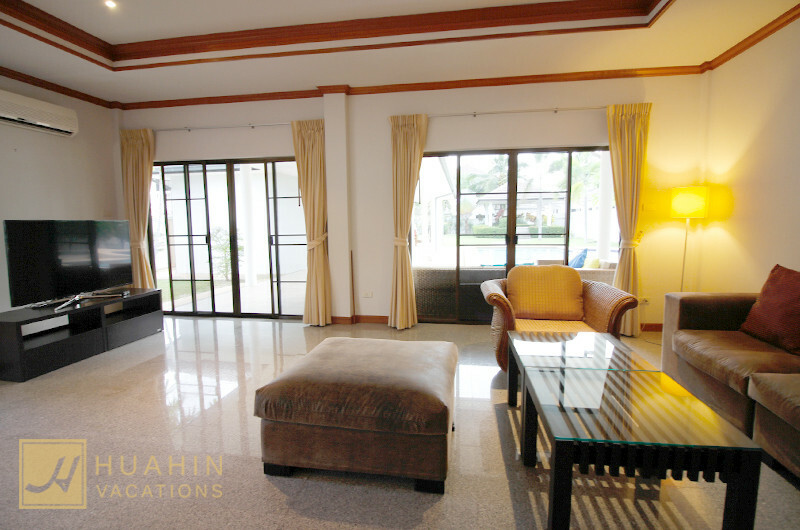 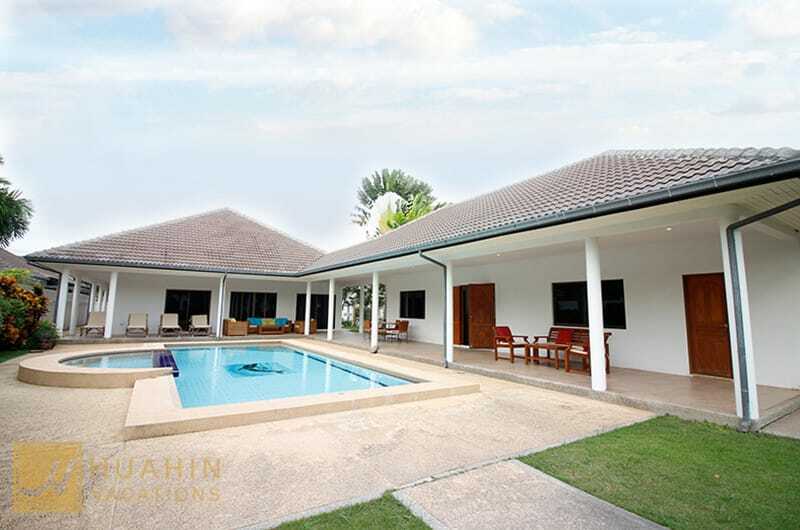 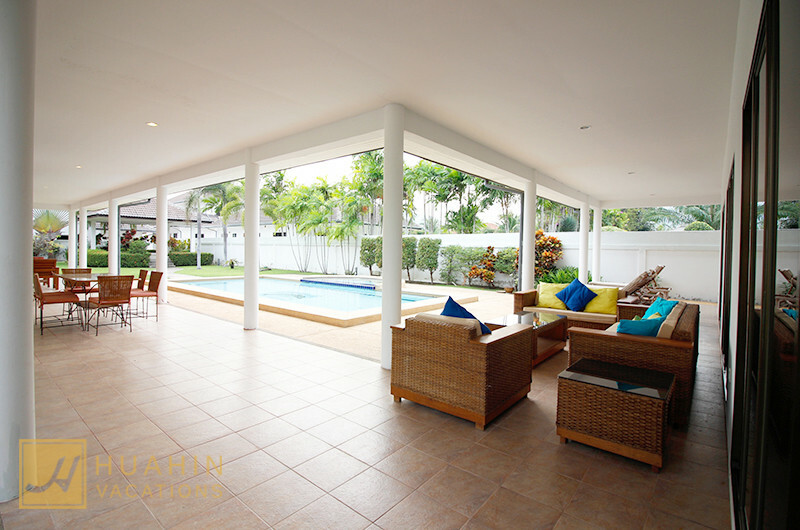 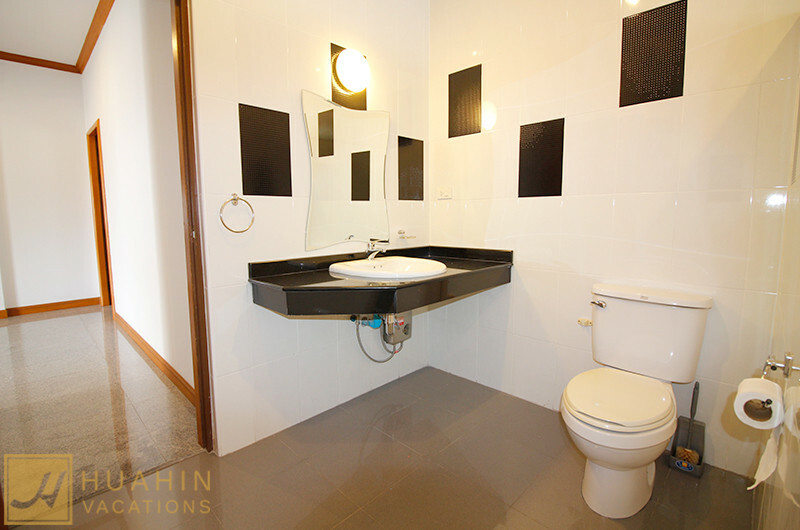 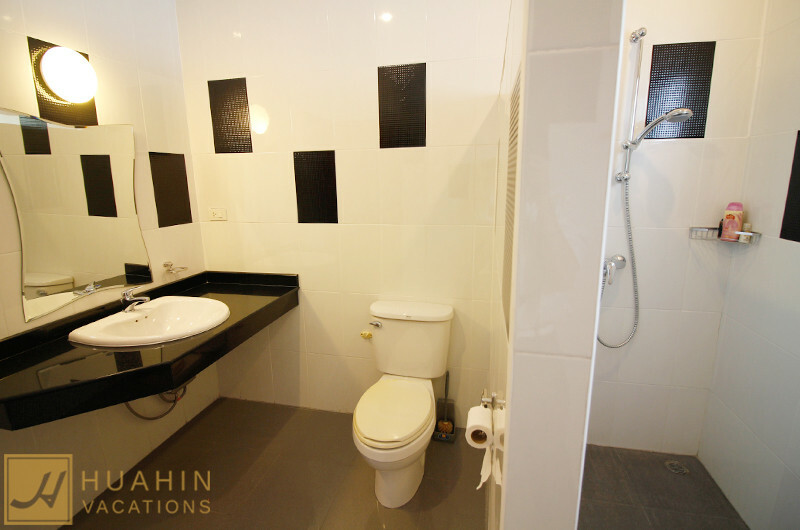 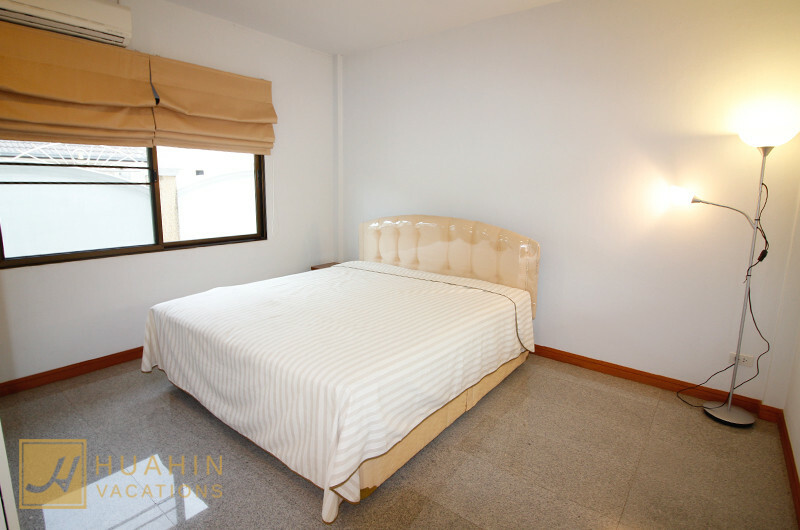 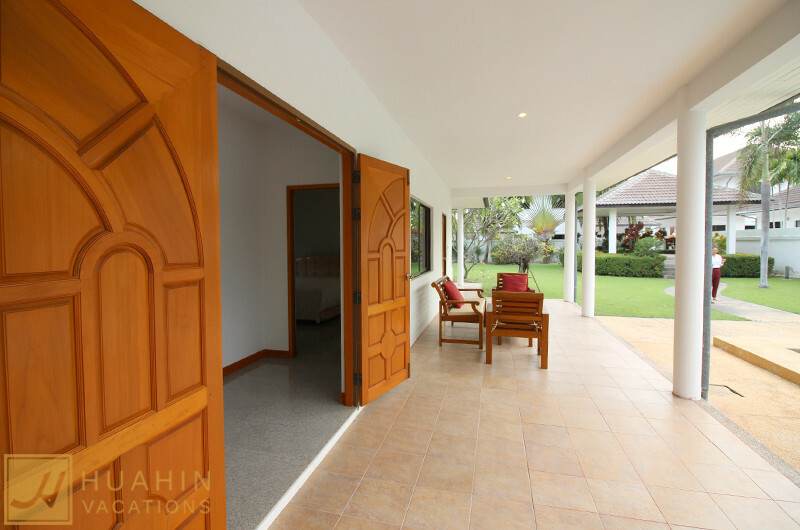 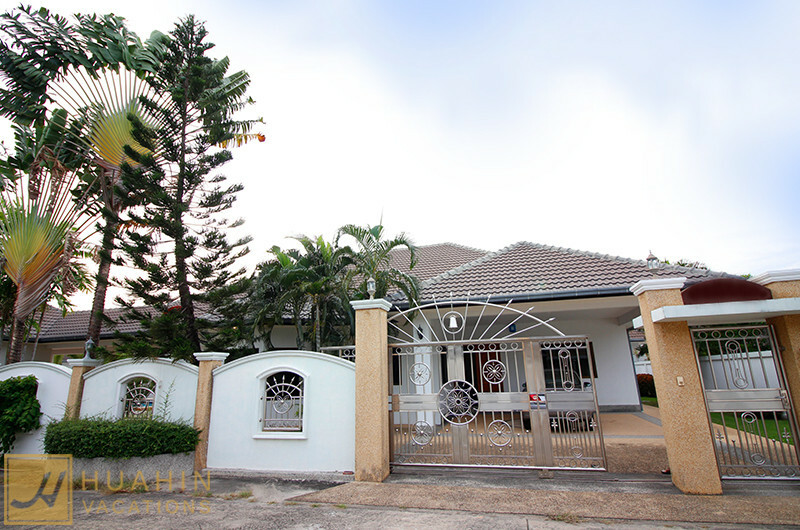 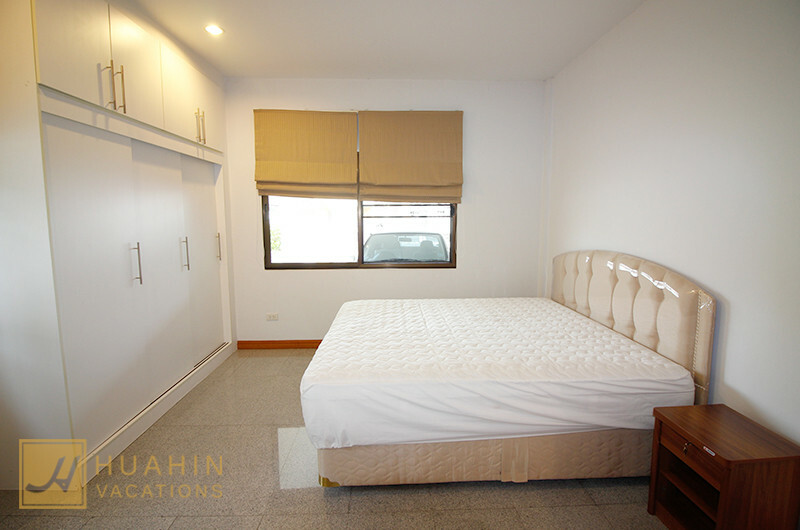 Large pool villa, situated in Sunset Village – a great location in the northern district of Hua Hin, close to golf, shopping, dining and public transportation into the city. 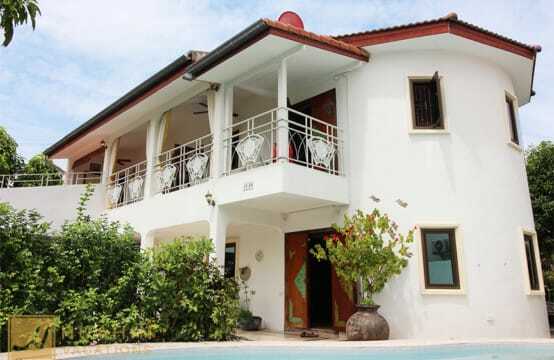 The community consists of a broad mix of foreigners, many Danish, Dutch and British residents. 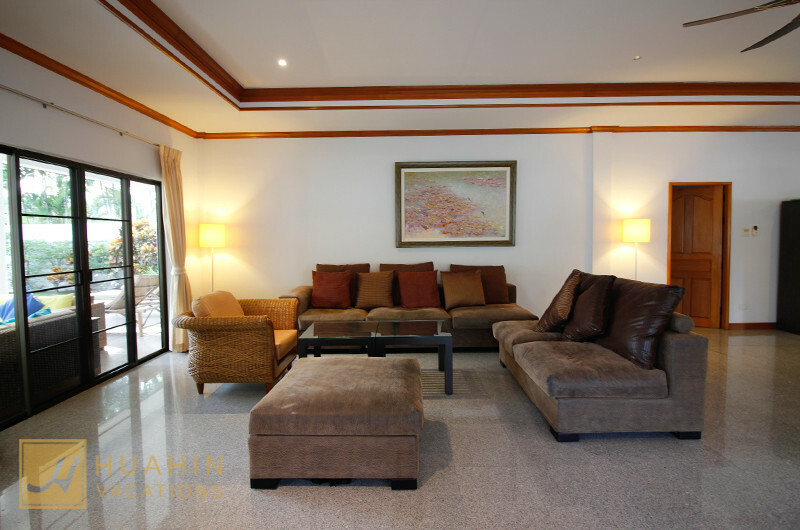 The villa has a spacious living room with open fully fitted kitchen, four bedrooms and two bathrooms, storage room and carpark. 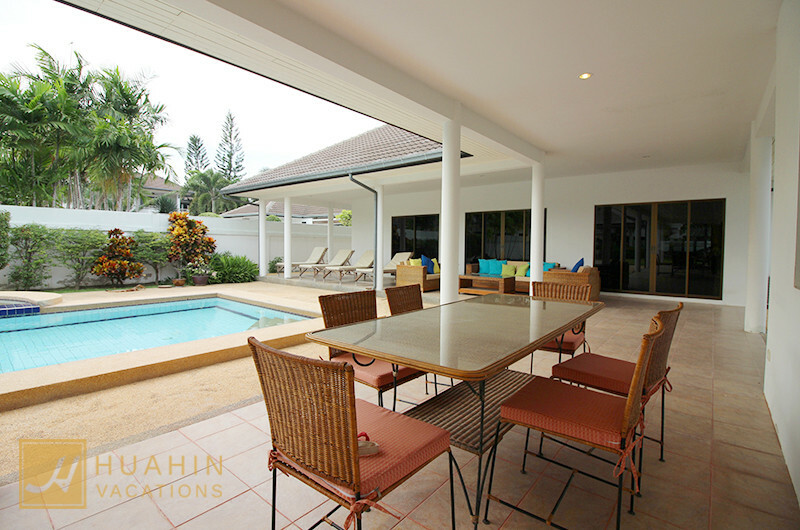 The covered terrace and large swimming pool, provides a perfect relaxation and dining area. 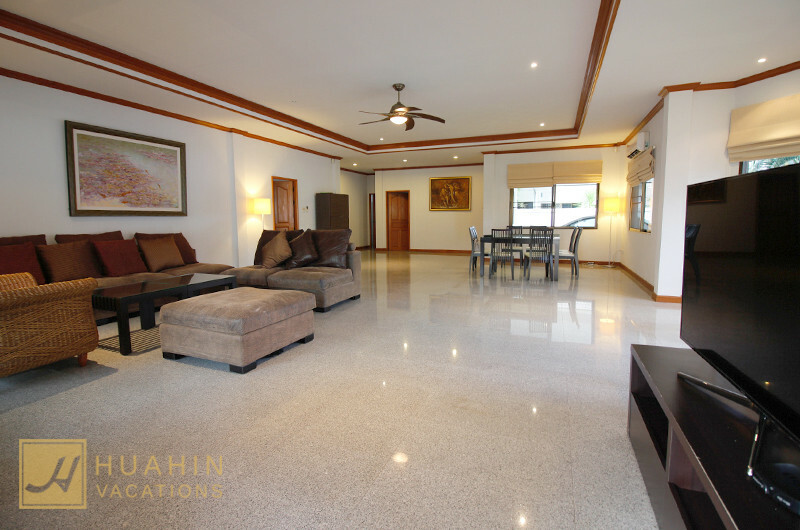 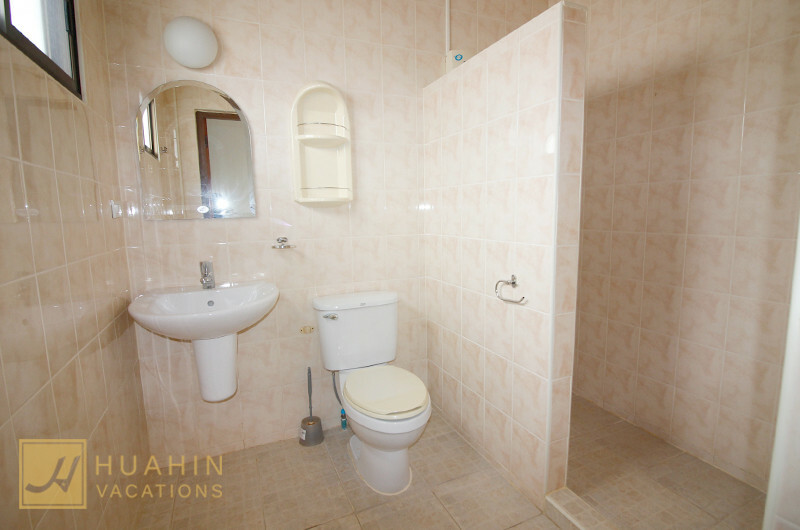 The house is fully furnished and decorated and comes with airconditionings and ceiling fans, washing/drying machines, internet/wifi, TV, and intruder alarm.